681405 - JEGS SSR Spike Wheels is rated 4.8 out of 5 by 4. Rated 5 out of 5 by Campbell from 1968 RS Camaro For everyone that have a 68 camaro with stock suspension and wondering if these wheels will fit. I had a tough time deciding and trying to figure out sizes. They fit awesome. Extremely happy . Jegs customer service is the best, plus the fastest shipping I've seen. Rated 4 out of 5 by Brett 327 from good looking wheel I bought for 1985 s 10 truck!! wheel bolts awesome looks awesome but ..center cap is not tall for hat on stock s10 rotor..
Will these work with 1/2 inch studs? Yes, these wheels will work with 1/2&quot; wheel studs. Will this time fit my 1978 lt Camaro? Yes, this will fit your Camaro. 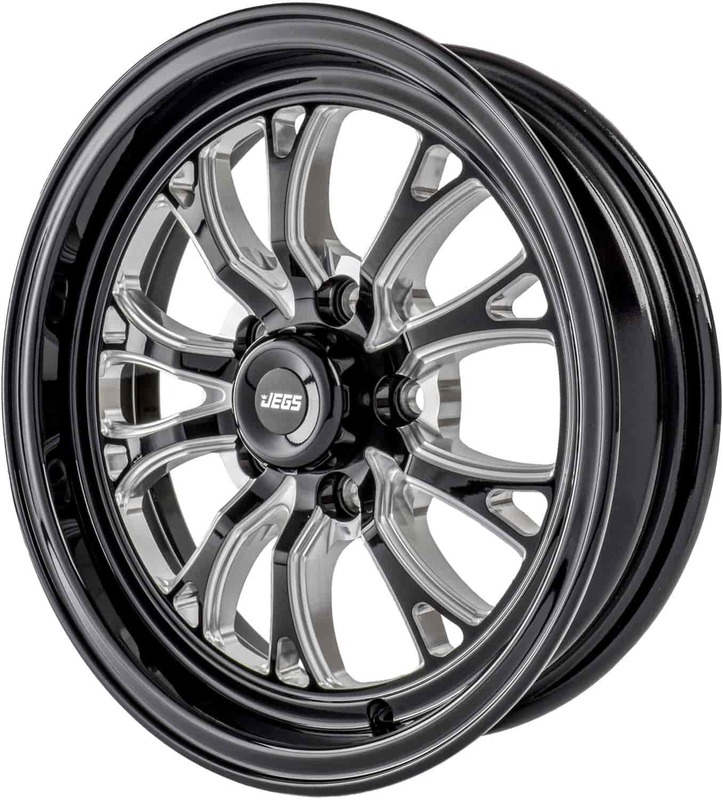 These wheels have a 15 x 4.5&quot; lug pattern with a 1.75&quot; backspacing. Because it doesn't have an SFI certification. These should fit your Camaro. These wheel have a 1.75&quot; rear spacing. What lug style do u use.chev 7/16long stud open lugnut? This uses a Closed End Bulge(Acorn Style) Conical Lug Nuts. You can click on the lug nut chart tab on the web page to see the recommended lug nuts. Weight on this wheel is 17.1lbs. Any chance these will fit over 5/8&rdquo; wheel studs? These are not drilled for a 5/8&quot; stud.